The Sigur Center for Asian Studies will host a panel of news journalists based in Washington, DC reporting from a variety of Asia-based news outlets to discuss how audiences in Asia view contemporary U.S. politics and government. Light refreshments will be available. This event is free to the public, but is off the record and not for attribution. Ms. Seema Sirohi is a graduate of Delhi University in India. She has a Master’s degree in journalism from Jawarahal Nehru University in Delhi and an M.A. In sociology from the University of Kansas in the USA. She has worked as a reporter for the Associated Press and as a correspondent and feature writer for the Telegraph. She has also served as a writer and editor for a number of internationally prominent newspapers and magazines. 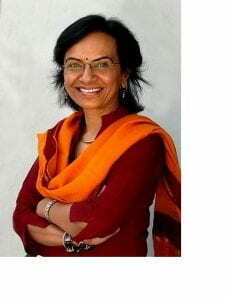 Since 2011, she has been a correspondent and columnist for the Economic Times , India’s largest daily business newspaper. Mr. Prashanth Parameswaran has lived in Malaysia, Singapore and the Phillipines. He is currently a Ph.D candidate at the Fletcher School of Law and Diplomacy at Tufts University. He has previously worked on Asian affairs at several think tanks in the U.S., including the Center for Strategic and International Studies in Washington. And he is currently senior editor of The Diplomat Magazine which covers Asian affairs and has its headquarters in D.C.
Mr. Takeshi Kurihara is a graduate of the University of Tokyo where he earned a B.A. in journalism. He began his career as a reporter for NHK (Japan public television), working in western Japan and then eventually was transferred to Tokyo where he worked as a political reporter. Takeshi first came to the United States as a visiting scholar at Stanford University in 2015. In June 2018, he was transferred to the Washington bureau of NHK where he specializes in covering news related to U.S. government policies. 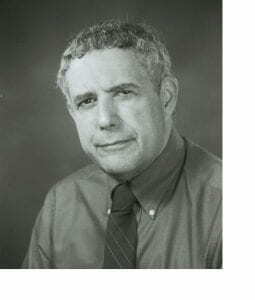 Moderator: Professor Andrew Krieger, senior adjunct professor at Montgomery College in Rockville, MD; teaches courses in international relations, sociology, and American government.